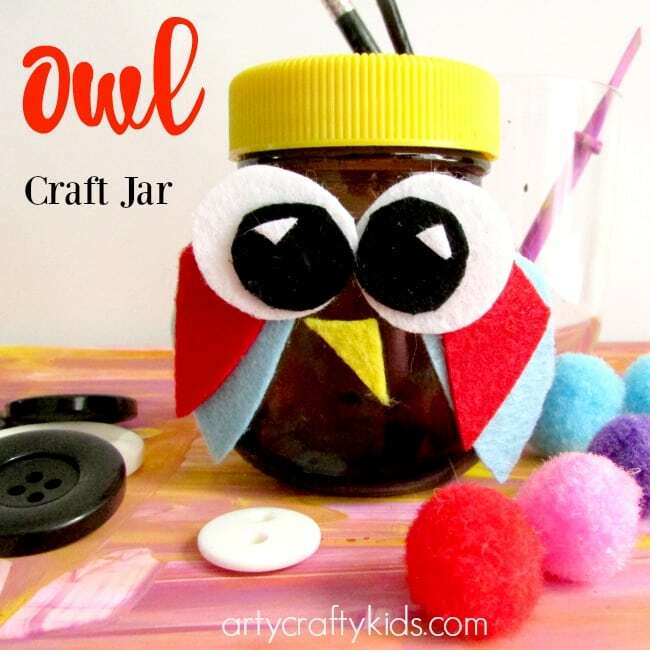 This little owl craft jar is all about making recycling fun. We use jars for for our paintbrushes, sequins, buttons, pom-poms and anything else that will fit in a jar! 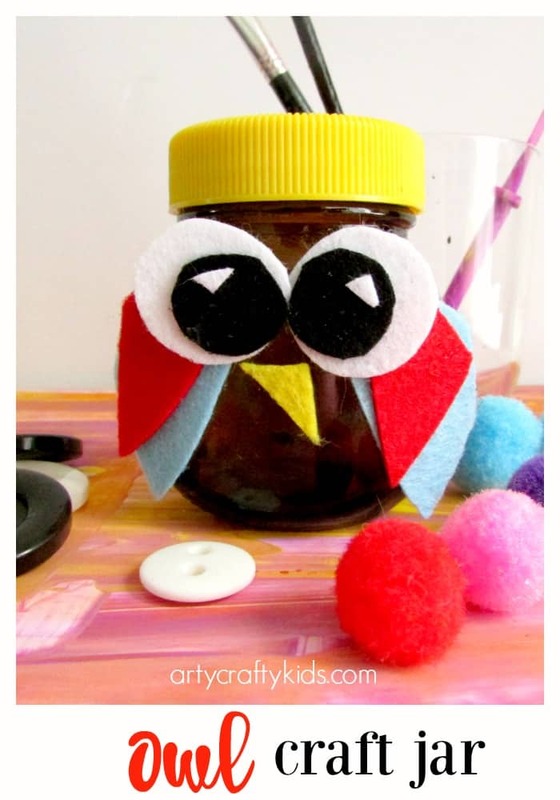 And super FUN – let the kids give their craft jars names and create personalities to add another dimension to their crafting session. This will not only help to make recycling fun, but also makes it easy for kids to identify the materials themselves and encourage independent creativity. It also helps to keep the craft supplies in order, which is never a bad thing! 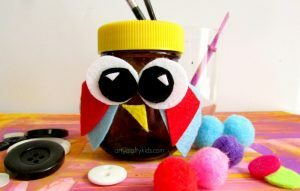 As you can see, there’s lots of reasons to make an Owl Craft Jar, shall we get started? A jar with a flat surface – With a strong glue, this craft is possible with a round jar! The wings, eyes and beak are all made out of felt. Measure and trim the felt to size. If you don’t have any felt, maybe you can adapt the craft by using coloured paper? 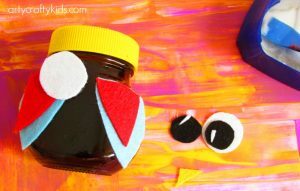 Position the wing onto the jar and secure using lots of glue! 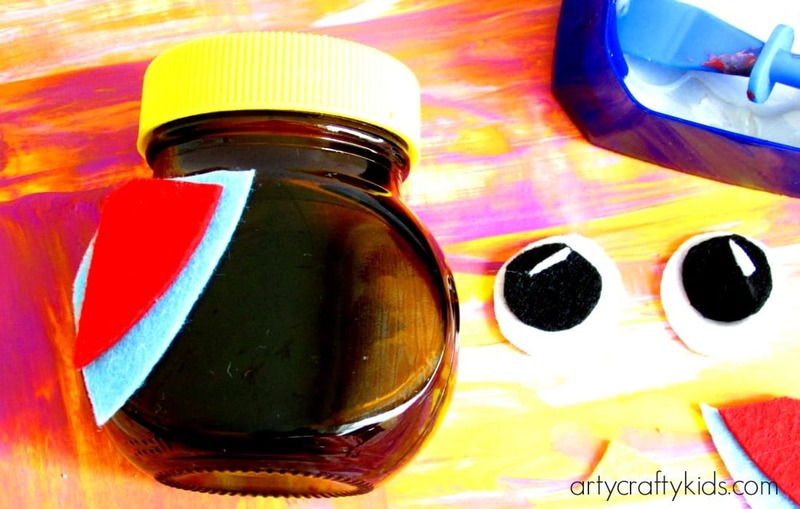 TIP: For this craft, I used ordinary PVA glue. If you’re using a round jar, you may need to use a stronger glue! Finish off with a pair of large round eyes and a beak. 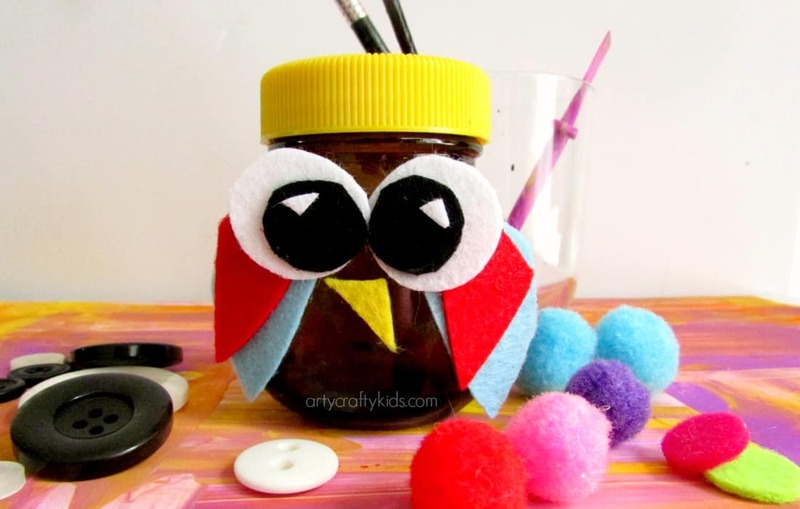 Leave the Owl Craft Jar to dry and then fill it up! Ours is storing googly eyes… I couldn’t imagine why!?! I hope you’ve enjoyed this simple little craft and that it brings new life to your craft storage!